An AC repair in Burbank can help you stay cool when your air conditioning goes down. When air conditioning stops working, it can be terrible. This is particularly true during the long summer months in the valley. Burbank is a wonderful place to live and work, but you won’t feel that way if you’re hot every waking (and sleeping) second of the day. Having a lot of fans on your face and the window open can give you some cool air, but they don’t really compare to air conditioning. Luckily, the pros at American Cool and Heat have the experience to do what’s necessary in getting your Burbank air conditioner working again. During a heat wave, the temperatures can get up to over 120 degrees during the day. Of course, they can also go as high as 98 degrees at night long after the sun has gone down. That’s why American Cool and Heat offers their AC repair in Burbank services all the time. That truly means “all the time” – they’re on call 24/7/365. So, you never have to suffer through an incredibly hot, sticky and muggy summer without air conditioning again. American Cool and Heat can make sure that you have your air at the temperature you want it. No one wants to have to sit in a home without air conditioning during the summer. Doing that isn’t just unpleasant, it can be downright unhealthy. That’s why AC repair in Burbank is so important: it can make sure that you and your family is living properly in Burbank. Suffering through a lack of air conditioning should be intolerable, which is why American Cool and Heat can be out to your home quickly to remedy the situation. Not only do they provide air conditioning, they provide quality peace of mind. There are many different kinds of air conditioning machines. On top of that, there are many different kinds of air conditioning situations in homes and apartments. The pros at American Cool and Heat have the years of experience necessary to fix any kind of air conditioning system. When an AC unit breaks down, they can be there in a hurry to fix it. They’ve seen practically everything that can happen with or to an air conditioner, which gives them the know how to fix whatever your home’s problem might be. The pros at American Cool and Heat have all the right kinds of licenses and are fully bonded, which means that you can trust them to fix your air conditioning. They’re exceptionally well trained, so they’re ready to fix the newest equipment from the top brands, but they can also do an exceptional job fixing old air conditioners of the past, as well. 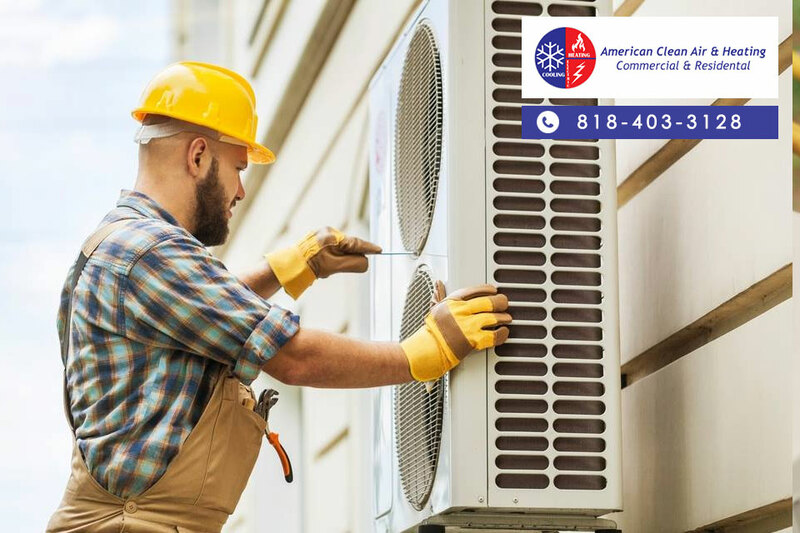 To see more about how American Cool and Heat can keep you cool no matter how hot Los Angeles gets, give them a call at 818-403-3128 or head over to their site for the best AC repair in Burbank. When something goes wrong with your air conditioner, it is natural for you to worry about what needs to be done. Most homeowners do not know the intricacies involved with an HVAC system and would not know the first signs to look for when things or wrong, or how to diagnose what is wrong with your system. Even fewer are willing to try home repair themselves for fear of causing further damage to a delicate system. Some things are good to know about a good Burbank air conditioner repair so that you know what to do and who to call, so you get the best help possible. The first thing you need to do is know how to recognize when something may be wrong with your AC system. Of course, if you get home and do not feel or hear the system running, you will know something has gone wrong, but there are other signs you can watch for as well that can help you avoid a total stoppage of your system. Paying attention to the sounds your system makes when it is running well can let you identify when something sounds wrong or when the system does not start as it should. You may also feel a slight difference in room temperature, with the system never getting the rooms quite as cool as it should. The next thing for you to know is who you can call to find out if you need Burbank air conditioner repair. It is always a good idea to have the name and number of a repair service on hand, so you know who to turn to when something is wrong. If you have never had a service in before, ask friends and neighbors who they use to maintain their systems. You can get the name of a trusted, local service that can come in, figure out what is wrong, and find an easy solution for you. Here at American Clean Air and Heating, we can provide you with the Burbank air conditioning repair you need when you need it. We are HVAC system experts and can assist you with any problems, large or small, to help get your system working right again. Phone us at 818-403-3128 to schedule an appointment with us and make sure your AC is working well for you. Even though the summer is winding down, for those that live in warmer climates such as in California, the need for air conditioning can run well into the fall and even winter months. That is why many people have central air conditioning systems installed in their homes, making it easy to use air conditioning at any time of the year. Since these systems are getting such regular use, making sure they are properly maintained is of the greatest importance. You will make sure that your system is available for you to use when you need it the most and proper upkeep best way to make that happen. Getting maintenance for air condition in Burbank is well worth the investment in order to keep your system running properly. There are number of people who will put off getting regular maintenance work done for their systems because they feel that it cost too much money is not worth the expense. Problem with this is when you are operating and air conditioning system that has not been maintained properly, the system is not going to run as well as it should. You will find that over time you are central air system is going to need to work hard to cool your home and it will not be able to cool it as well. This can eventually lead to more serious damage being caused your system that could end up costing you a lot more money in the long run than if you had had your system properly maintained for a small cost. You want to take the time to find a quality maintenance service for your air condition in Burbank system. Look for a local maintenance company to come in once or twice a year to check over your system, change filters and any worn belts or parts and recognize if there are any potential problem areas with your system that need to be repaired. If you have this done, your system is more likely to keep running while. 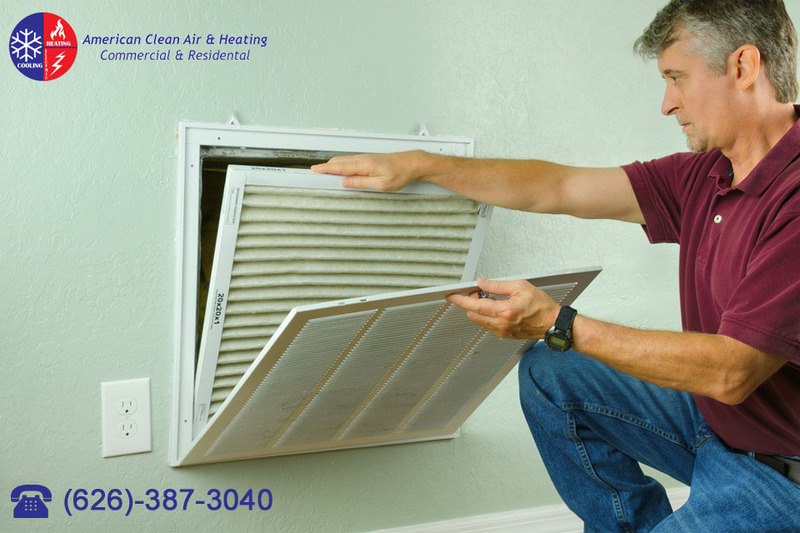 When you want to make sure that your air condition in Burbank is maintained properly, make an appointment with American Clean Air and Heating by calling the office at 818-406-6000. 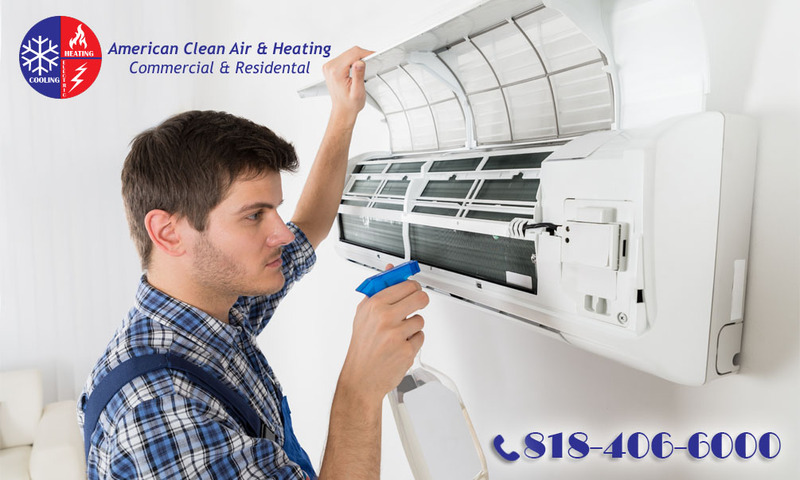 American Clean Air and Heating has highly experienced, professional technicians available to properly inspect and maintain your system to keep it running at its best all through the year. If you live in the Los Angeles area, even though the really warm months are upon you right now, you deal with warm weather most of the year. This means that your air conditioning system is getting a workout for most of the year. No matter how great of a system or units you have, when it gets used this often there are going to be times where it may not be running at its peak. If you think you are having a problem with your air conditioning, here are a few things you can check for to see if you need AC repair in Los Angeles to get your system operating correctly. 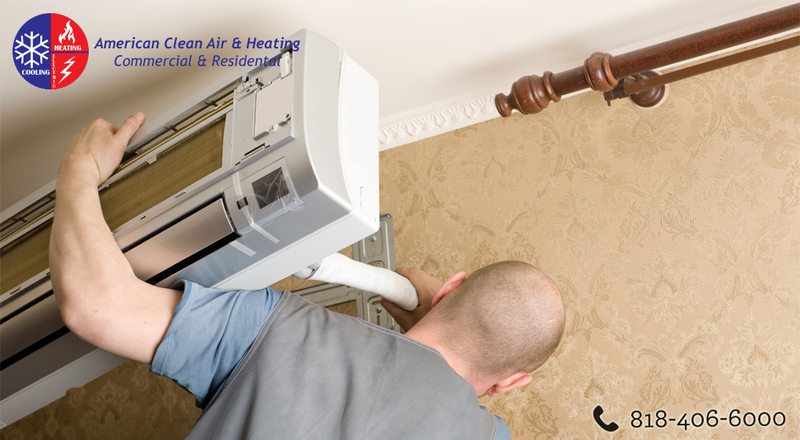 When your AC system is running the way it should it will be providing regular, cold air for you throughout your home. However, an easy sign to tell if something is wrong is if the unit or the system does not seem to be blowing cold air anymore. Perhaps the air is cool but not as cold as it normally would be. It could even be that you feel only warm, room temperature air coming from the system. When this happens, you want to make sure that you turn your system off and call for AC repair in Los Angeles. There could be a number of things wrong with the system and you do not want to cause further damage. There may be times where you can physically see that something is wrong with your central air system or unit. If you happen to see that your unit is leaking much more water than what is normally produced as condensation from the unit, it could be a sign that there is a leak somewhere. Another physical sign to look for is an ice buildup on the unit itself. This is not a normal occurrence and should be checked right away. Anytime that you think something may not be quite right with your system you are better off calling for AC repair in Los Angeles to get it checked by a professional. 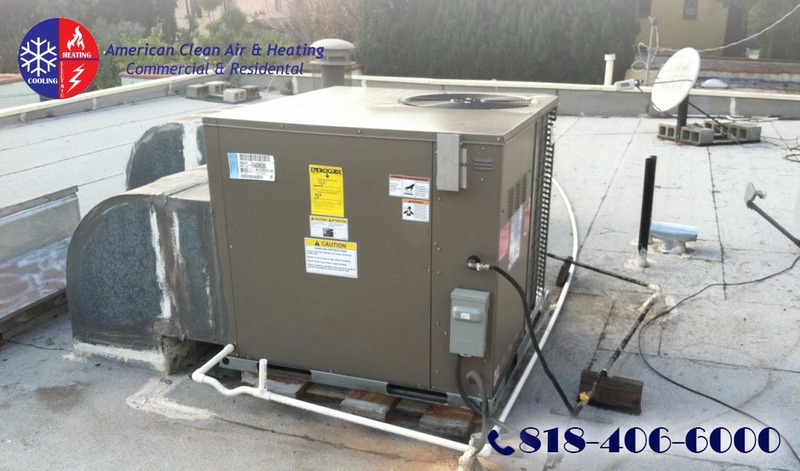 If you have concerns about your system or just what to get it looked at to make sure no maintenance is needed, give American Clean Air and Heating a call at 818-406-6000 or visit their website at www.americancoolandheat.com to arrange for an appointment.